However, the reliability of this index record is unknown as its source is: “Submitted By unknown38379”. Sadly, I can’t easily access the original register because it is held at the archive department of Birmingham Central Library, which is closed until the new Library of Birmingham opens in September 2013. Did you notice the discrepancy in the name of Thomas’ father between his marriage (Edward James) and birth certificates (Edward John)? Based on the occupational and location evidence Edward John and Edward James could be the same person, but I should gather some more evidence. Census records do not record middle names consistently so are not helpful in this case. The birth registrations of the other children could indicate if Edward used John or James and how consistently. However, there is a problem. There are multiple possible birth registrations for all the above children, except Emma. Emma’s father was named as Edward John. How common is Adams as a surname? Statistics of surname frequencies based on a University College of London (UCL) study are available at the PublicProfiler, but this website can be very slow. British Surnames and Surname Profiles presents similar statistics. Both provide frequencies of surnames in the 1881 census for the whole United Kingdom. Not surprisingly, Smith and Jones are ranked as the two most common surnames, followed by Williams, Brown, Taylor. Adams ranks as the 68th (British Surnames) or 70th (PublicProfiler) most common surname. UK Surname frequencies in 1881. Top ten ranking surnames and a selection of surnames in the top 100. A large number of surnames are reported in the PublicProfiler project, so no surname accounts for more and a tiny proportion of the total UK population. In 1881, Adams (43,992; 0.147% of UK population) was about 10 times less common than Smith (422,431; 1.412% of UK population). A search of the 1851 census on FindMyPast for Adams in England gives 28,871, representing a similar proportion of the population (0.171%). The PublicProfiler map shows that Adams was widespread, but frequently encountered in the English Midlands. However, the map is constructed using modern jurisdictions and it is not clear how historical data were allocated. Apart from Adams being a common name, another factor contributes to the problem I have encountered. Nineteenth century Birmingham was an already large and growing city, with a mobile population. Confirmation of the identities of individuals such as Edward John/James Adams, could be pursued by collating all the data on Adamses in Birmingham, but this is a big task. The Guild of One-Name Studies (GOONS) registers studies using this approach. 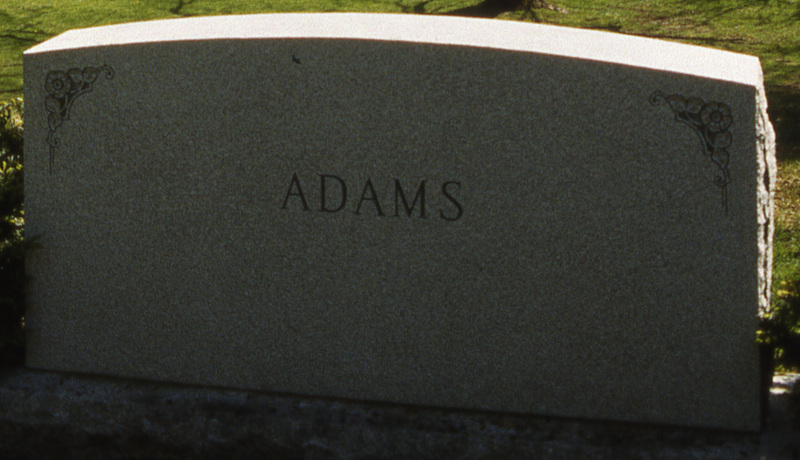 Adams is not currently registered, and neither are any of the top 10 surnames. I suspect that registration of many common surnames may be too daunting as a study is global and the person registering the study agrees to service enquires. Census 1851. England. Warwickshire, Birmingham, All Saints, District 5, image 28. digital image. Ancestry http://www.ancestry.co.uk: accessed 17 February 2013; citing The National Archives, HO 107/2059/107/27/ household 101. entry for Edwd Adams. “International Genealogical Index (IGI)”, database, FamilySearch (http://familysearch.org/pal:/MM9.2.1/MK43-9VY : accessed 2013-02-08), entry for Edward Adams.